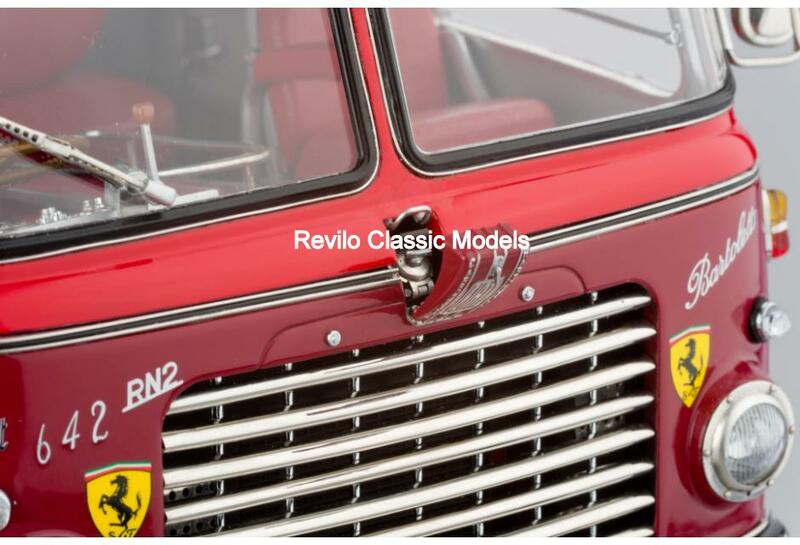 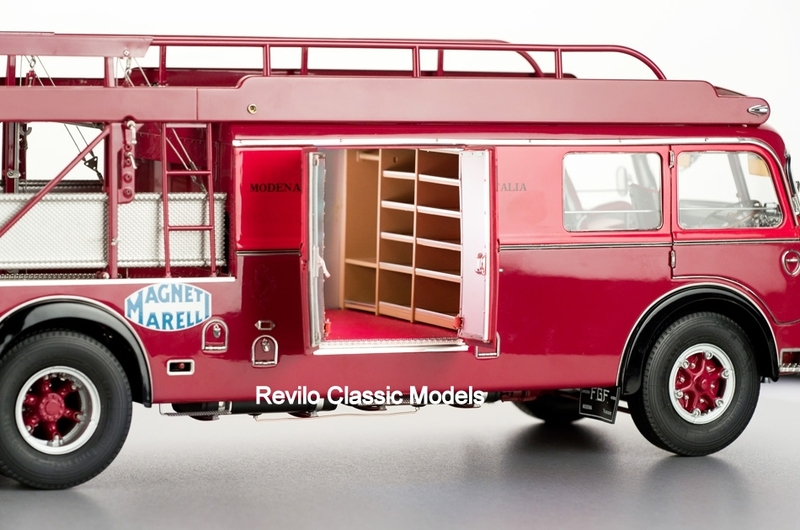 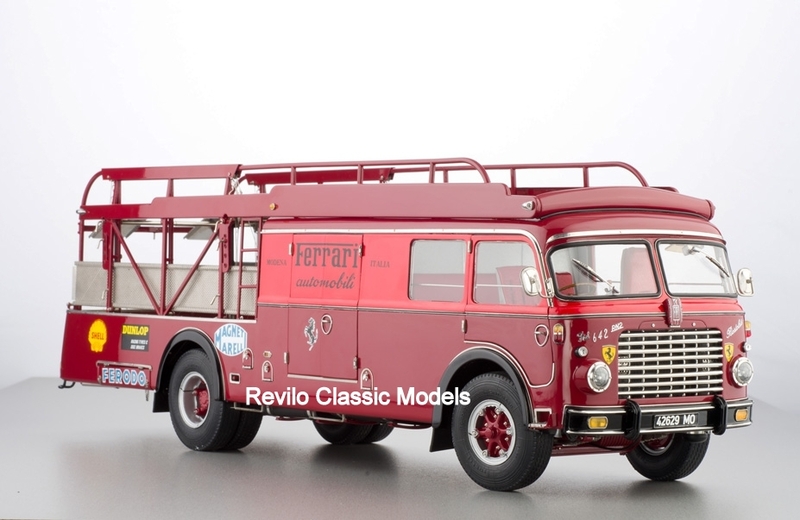 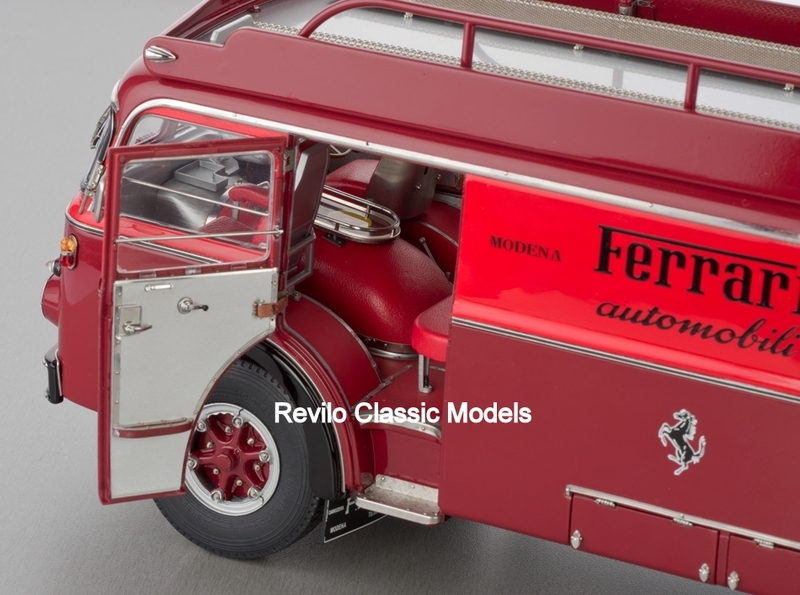 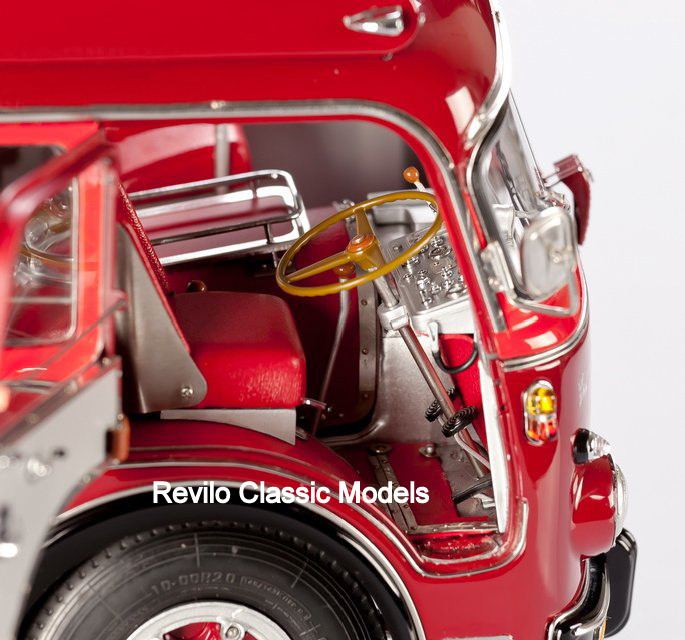 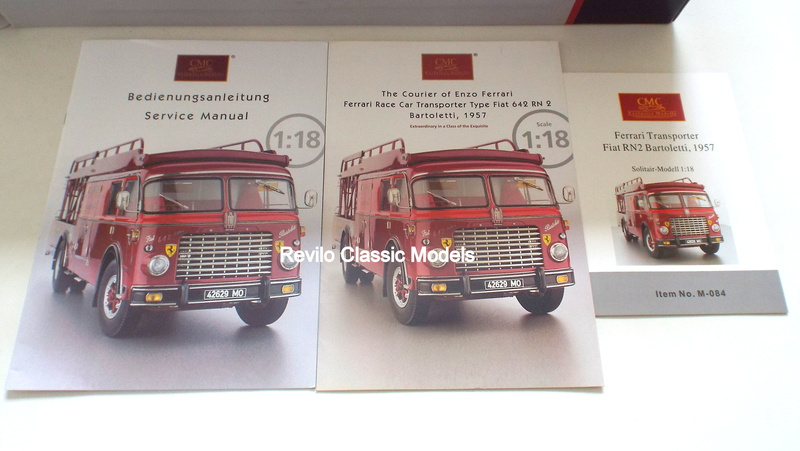 CMC 1:18 scale Ferrari Renntransporter Type Fiat 642 RN2 Bartoletti 1957 /23 896. 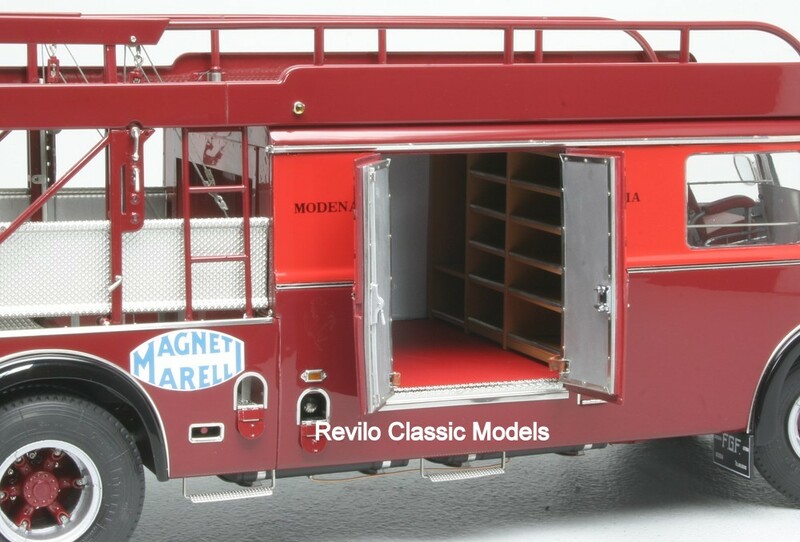 CMC model number M-084. 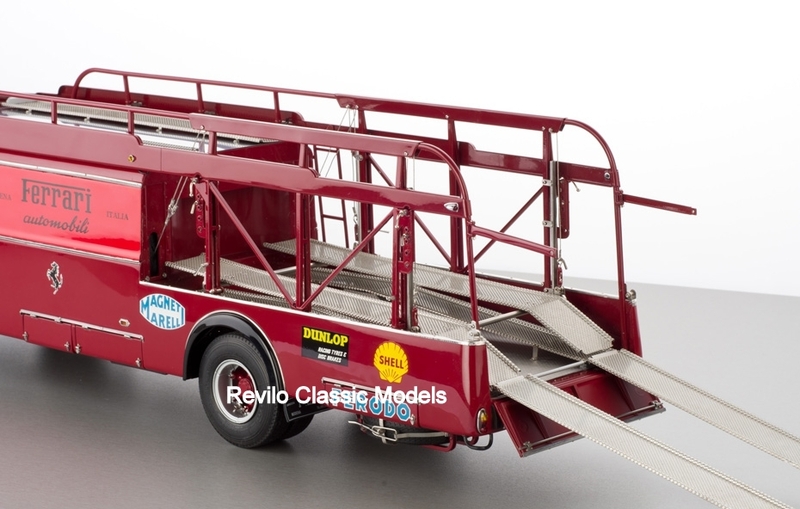 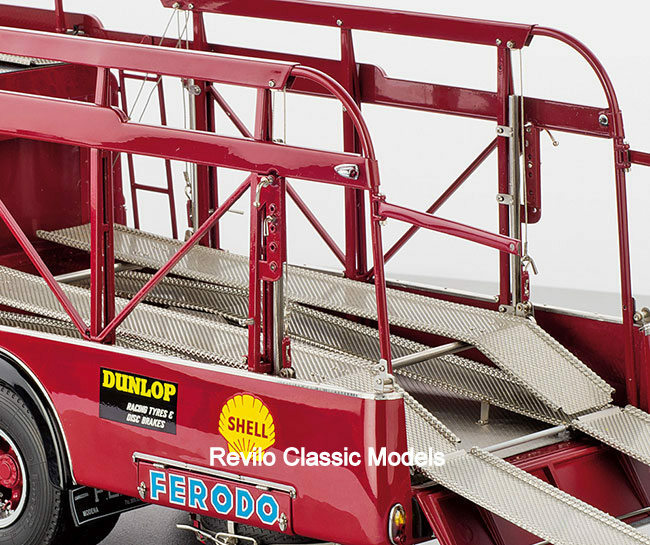 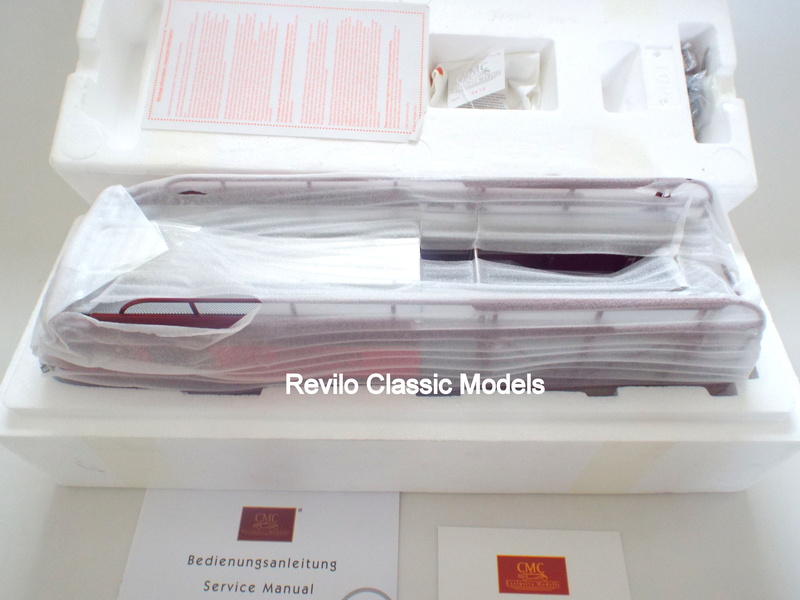 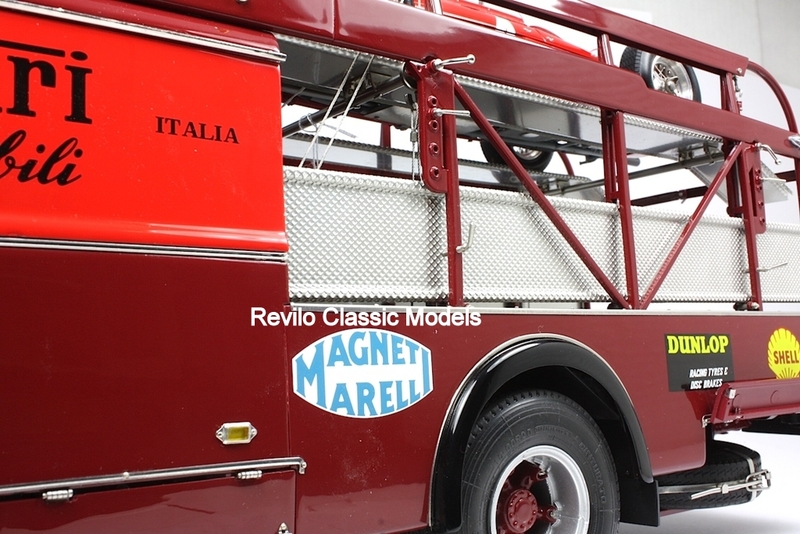 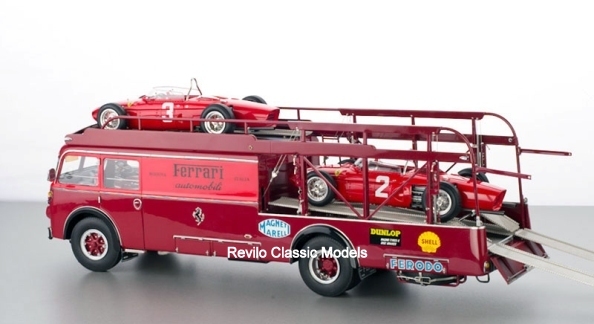 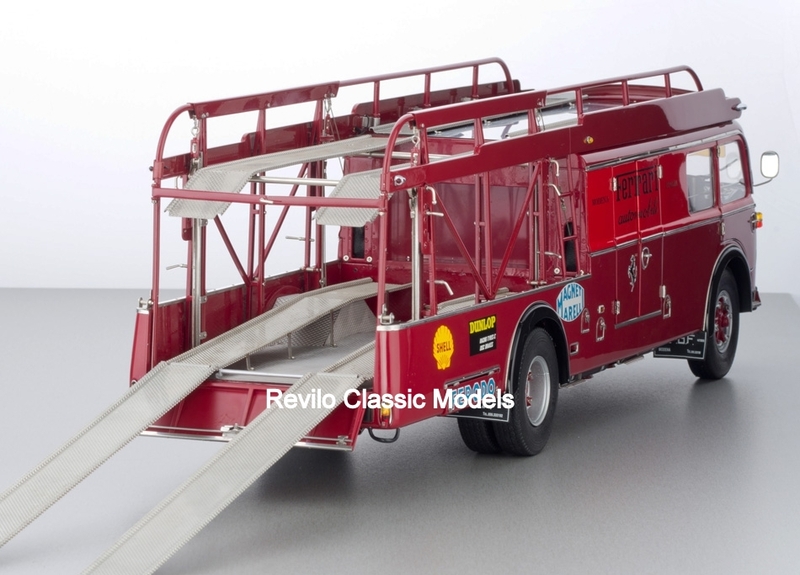 This is the wonderful CMC model of the race car transporter used by Ferrari in the 1950s and 1960’s to move Grand Prix cars and Sports race cars to and from races. 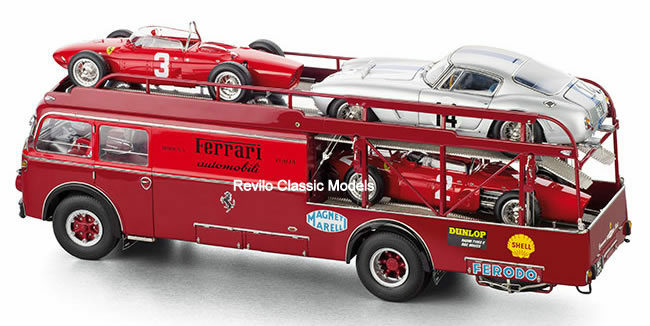 The detail is incredible and will fit three race cars and accessories. 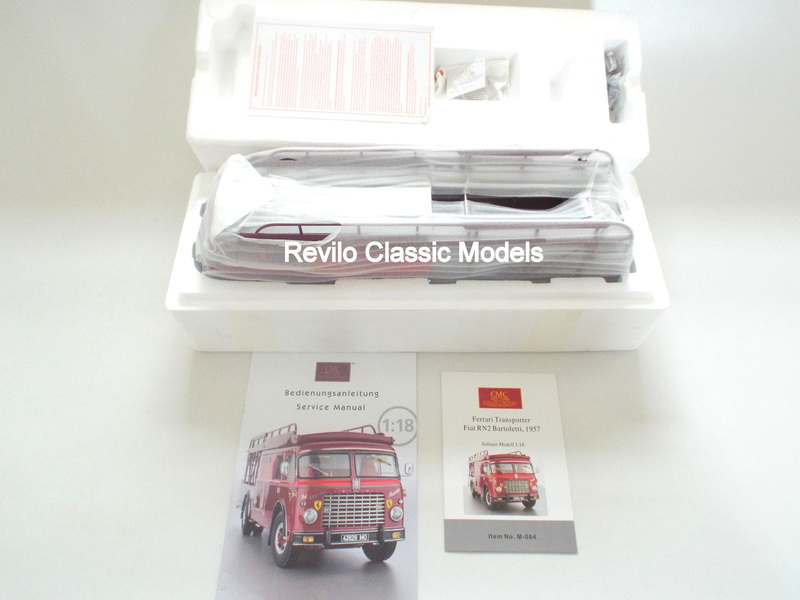 Becoming very hard to get hold of now as the model was retired by CMC a few years ago, this as new models comes with all original packaging and brochures. 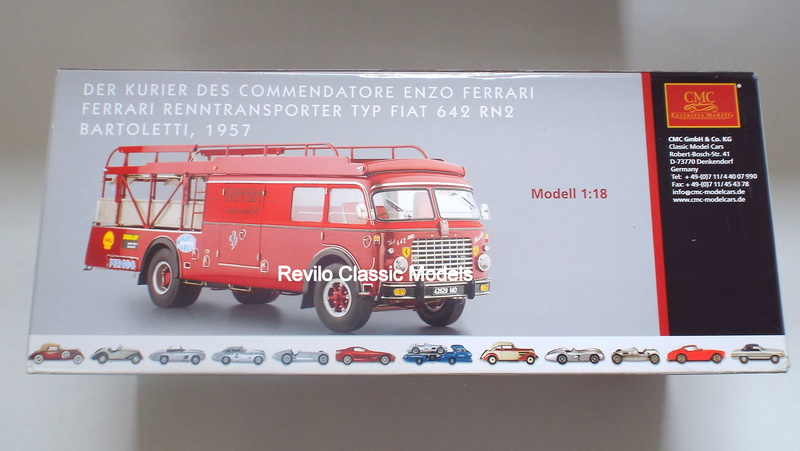 Please note model cars shown with the transporter are for illustration purposes only and are not included in the price. 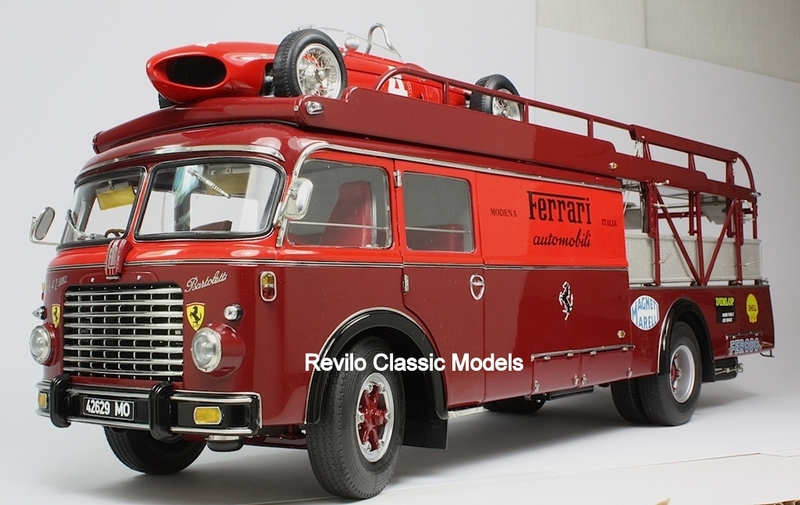 If you would like me to find specific race car models to go with the transporter please let me know.